An Indian couple has been accused of falsifying documents and photoshopping pictures of themselves on Mount Everest by other mountaineers. Dinesh and Tarkeshwari Rathod said they were the country's first couple to climb the world’s tallest mountain on May 23 during a press conference at the beginning of June. 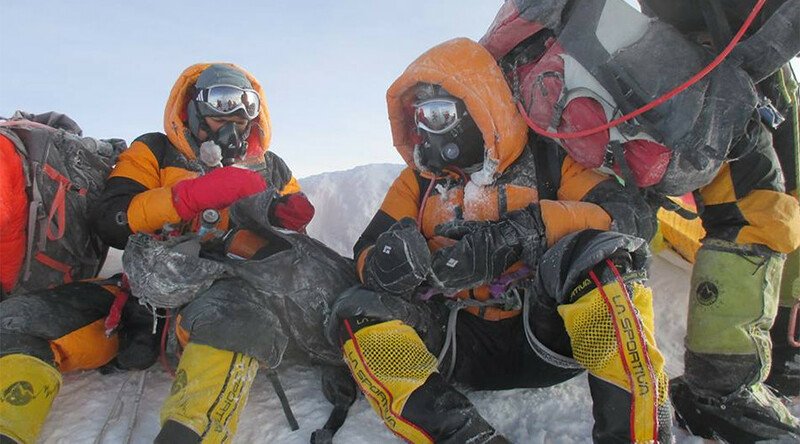 The married couple, both of whom are police constables, have had their story challenged by professional climbers since photos of their alleged journey first emerged, according to Buzzfeed. Experienced mountaineer Surendra Shelke told the news site she doubted the story because in one photo, the Rathods were seen wearing red climbing gear while in another, their clothing was completely different. She said changing clothes while on a peak is not possible due to harsh weather conditions and the wind-chill factor. Meanwhile, a mountaineer from Indian city of Bangalore alleges it was his original pictures that were “stolen” and photoshopped.